Wood-frame construction has the potential to remain one of the most environmentally appropriate building choices, provided we make the most of our wood resources. Currently, about 20 percent of a typical new house is made up of wood, yet some 40 percent of construction waste is made up of dimensional lumber and manufactured wood products. Clearly, there is a significant opportunity to waste less of this valuable resource. Canada's building industry has responded to this challenge and taken the 4 Rs approach to wood-frame construction: Review, Reduce, Reuse, and Recycle. Here are some important 4 Rs considerations. Wood-frame house construction follows traditional practices which evolved when wood was abundant and waste management was not an issue. It now makes economic and environmental sense to review how the house will be designed and built. 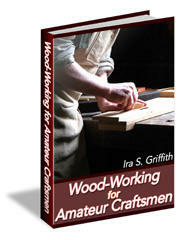 Review current trade practices and procedures to see if these pose a I barrier to the efficient use of wood, as well as any other building materials. -* Check plans lo ensure that standard sizes and maximum spans are used wherever possible — get more house for less cost and waste. -» Identify alternatives to dimensional lumber, such as engineered wood products (F.WPs), ai id more efficient framing practices. Lumber represents the greatest component of the waste stream for new housing. Better use of our natural resources is possible by reducing inefficient and wasteful practices. 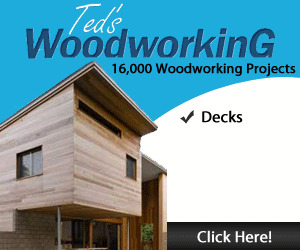 Cut all wood in one area on the site. Most waste is generated by poor cutting practices. Organize off cuts so that short lengths are easily visible and readily accessible ■ use up warped or twisted full length pieces first when a shorter piece is needed. Order materials in packages corresponding lo the stage of construction. Avoid having all materials shipped at once. Only order what Is needed ■ ■ make adjustments with each order. Store materials properly to avoid damage. 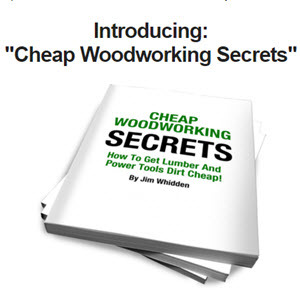 Damaged wood is the second highest cause of wood waste, after poor cutting practices. Use simplified framing techniques, such as constructing walls at 24 in. (600 mm) on centre, wherever possible. -» Use engineered wood products, such as wood l-joists. laminated veneer lumber and trusses, which provide equal or better performance using smaller trees. Check with demolition contractors for used building materials. In many cases. Ihese materials will provide acceptable service at a fraction of the cost..
Buy recycled rather than new materials. When it is not possible to eliminate waste entirely, consider recycling. ■* Sort and securely store materials for recycling ■ avoid using a single waste bin without dividers. ■* Offer waste products to schools or community groups that may have a use for these in shops and crafts. The Healthy Housing principle of resource efficiency applies not only to wood, but to all building materials. Additional and more specific insights on the 4 Rs of wood frame construction are provided in a number of tne sections which follow.